The Windows UI for Start and Action Center now includes some elements of the new Fluent Design System which was announced by Microsoft at Build 2017. The Action Center has also been redesigned so as to provide a new and much clearer information with cards. 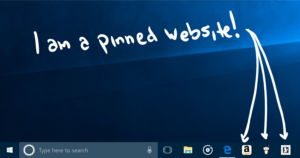 Now Microsoft Edge allows you to pin your favorite websites to your taskbar. 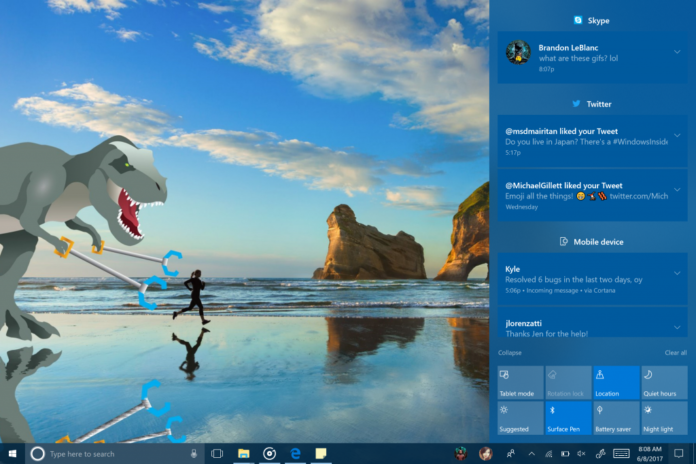 This build also introduces a new Full screen mode for Microsoft Edge. 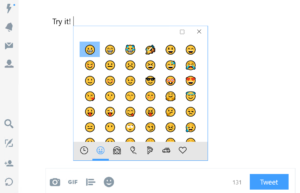 You can do that by simply going to setting and click full screen icon or press (F11). Now you can annotate EPUB Books on Microsoft Edge by highlighting in four colors, underlining, and adding comments. Now you can “Add tabs to favorites” from the right-click context menu on tabs which means the folder of your tabs can now be saved as favorites. 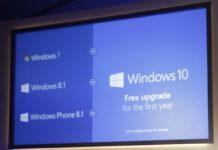 Microsoft has added a new One-handed touch keyboard which is same as the word flow keyboard of Windows Phones with shape writing. This keyboard takes the place of the split keyboard layout that was earlier present. 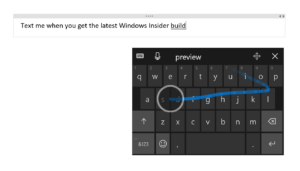 Microsoft has also updated the handwriting experience in Windows 10 with previous words converted to typed text within the handwriting panel while you are writing. This build contains various other important features and improvements which we will be discussing in detail later. where’s download link,I want use ubuntu subsystem.